The Titmus company was founded in 1908. Not only does it provide customers with quality safety glasses, but the company was also responsible for developing the Titmus Vision Screener, a portable instrument used to evaluate an individual's basic visual functions. Titmus works with a network of wholesale distributors to get its products to customers. It can provide safety lenses and frames to consumers that are stylish and comfortable to wear. The company continues to develop new styles so that it can continue to meet the needs and preferences of consumers on the job. All Titmus safety glasses meet standards developed by the European Committee for Standardization (CE) and American National Standards Institute (ANSI). The company operates its own testing laboratory, and ensures that all the frames it produces meet the ANSI Z87.1-2003 standard. 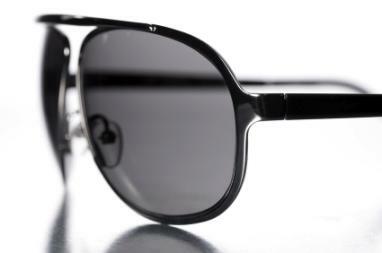 The SWRx collection provides prescription lens protection in a popular wrap style. Indoor and outdoor options are available, to suit the needs of the user. The size of lens provides effective protection for the area above, under and beside the eye. This model comes with a removable "dust dam/sweat bar" that is made for use in work environments where the atmosphere is hot or dusty. The dust dam/sweat bar can be used for indoor or outdoor environments. The nasal fittings can be adjusted to suit. A medium nose pad comes with the unit, and the package includes an extra small and a large version. These safety glasses are available in a variety of frame sizes and styles. They look very similar to regular prescription glasses. Some choices come with clip-ons so that they can be worn in sunny conditions as sunglasses. The Titmus company offers sideshields for its prescription safety glasses. They are ordered separately from the glasses themselves, and in some cases are available in gray, as well as the standard clear model. To find out which sideshield would fit a particular model, visit the Sideshields page on the Titmus web site. Customers need to know the name of their frame or the model number to find its compatible sideshield. Titmus products are available for purchase through a network of distributors. When looking for quality safety glasses, consumers should ask for this brand by name to ensure they are getting genuine Titmus safety glasses.